As an underground "alternative rock" band, Death Cab for Cutie can pull out even the most reserved emotions in people. They have been entertaining the socially inept since 1998. Trademarked with Ben Gibbard's smooth lead vocals along with his amazing piano skills, accompanied by Chris Walla on guitar, Nick Harmer playing bass, and drummer Jason McGerr. 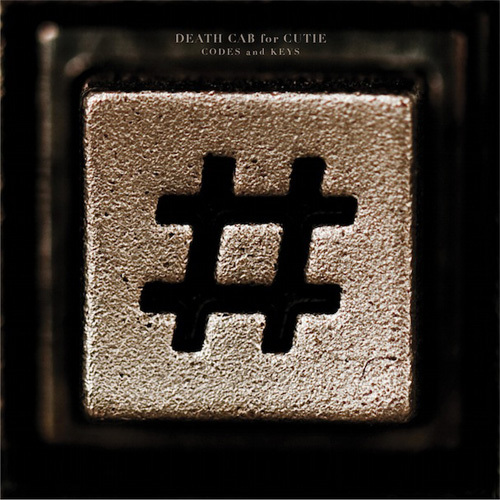 Death Cab for Cutie helps you escape the rigours of everyday living. Originating from Bellingham, Washington, Death Cab for Cutie recorded many of their first songs in the basement of Gibbard's home. Their first album, Narrow Stairs released in the spring of 2008, contains some of their most enjoyable songs. Ranging from "I will possess your heart" to "Cath..."
This album is one of, if not their greatest pieces of work. In the spring of 2009 they released their second album "The Open Door EP" which was nominated for Best Alternative Music Album at the 52nd Grammy Awards. Even though this band has not ever been on the likes of VH1's Top 20 Countdown, Death Cab for Cutie has had their taste of the spotlight after being featured in the hugely popular 2009 film, The Twilight Saga's: New Moon. With a steady increase in popularity the band has recently released the Codes and Keys album. "Stay Young, Go Dancing," the final song on the album, has gained already gained 101,756 views on YouTube. This song has slightly changed the originally "emo" sound of Death Cab, and transformed them into a more lighter Indie Rock band. Being a Death Cab fan from the beginning, this change has not upset me at all. On the other hand it has given me something really grand to look forward to. Listening to "I will possess your heart" while crushing on a boy was fun and all, but jamming to "Some Boys" featured on their new album has allowed me to take away the pain some boys have caused. Compared to older songs, such as "Cath..." with lyrics about a woman marrying the wrong man all because she was afraid to look elsewhere, "Home is a Fire" has similarly depressing lyrics. Whether they sing about a depressing break up, like the one in "The Ice is Getting Thinner," or about never ending love in "Unobstructed Views" Death Cab certainly has a grip on how to reach each of us in the deepest pits of our souls. Codes and Keys has proven to be a great edition to the Death Cab collection. Although it's shown itself to be more popular in the UK than the US, it still has taken off, and given Death Cab fans renewed hope for the bands success. 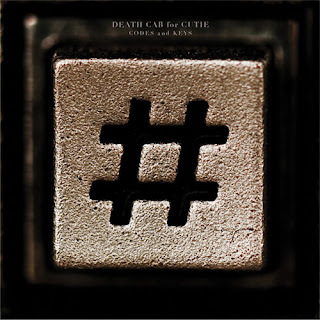 Personally, I found this to be one of my favourite albums from Death Cab, and I hope in the future they produce more music along these lines. Even though this album seems to be dragging Death Cab into more of the "mainstream" view, It's not a disappointing album from all angles. Death Cab has yet to reach modern radios airwaves, and for that I'm momentarily grateful. Shuffling from Death Cab to the Silversun Pickups, another alternative rock band from Los Angeles, California, is an almost depressing decision. Although the Silversun Pickups write emotionally charged songs just as well as Death Cab, its even easier to be surrounded with sadness while listening to their album Carnavas, released in 2006. However the Silversun Pickups' "Lazy Eye" is a good contender for Death Cab's "Codes and Keys" with its elaborate instrumentation and mesmerising lyrics. Forced to chose between the two, however, I will always side with my first love, Death Cab for Cutie.